Fareham-based waste management company Cleansing Service Group (CSG). Two of the company’s current directors have been promoted to Managing Director positions within the fast-growing group. The two men will have responsibilities for overseeing separate operational activities covering the company’s expanding national portfolio of services. Steven Pashley (37), CSG’s Operations Director since 2006, becomes Managing Director: Transport, Cleansing and Response, with responsibilities which include a range of industrial and commercial cleansing services from liquid waste management and national forecourt services to the maintenance of off-mains domestic drainage systems for over 70,000 households. He joined CSG in 1998 as a sales representative before becoming business development manager in 2001 and contracts manager a year later. He joined the CSG board in 2006. Neil Richards (53) becomes Managing Director: Treatment and Recovery, with responsibility for the group’s treatment, processing and recycling activities at its award-winning hazardous waste handling facility near Manchester – the largest facility of its kind in the UK. He joined the group in 2002, managing the Manchester facility for six years before joining the board in 2008. He has also worked in the steel and chemical industries and is a member of the Royal Society of Chemistry. 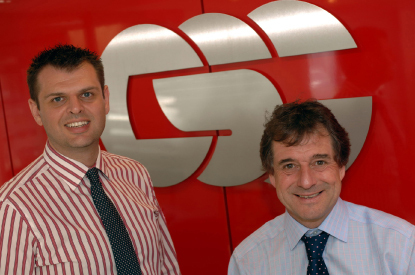 The two men take over from Paul Quigley, who became CSG managing director in 2006 and led the company through a successful acquisition programme and year on year profit growth. He has left the company to work as a freelance business consultant but will remain on CSG’s board as a non-executive director.